The first time I remember feeling truly jealous of my brother was during my junior year of high school when he, as a freshman, stole earned my spot on the varsity cross country team. It wouldn’t be the last. Three years later, he landed a job at SpaceX while I toiled away at a startup where, for a long three months, I was literally paid in translucent blue bottles of Bud Light Platinum (#MAKEITPLATINUM™). A year later, I signed a lease on a shared studio apartment. That same month, he bought a damn boat. And yet through it all, I couldn’t have asked for a better friend, brother, and all-around Good Dude. All of this to say: sometimes the most competitive sibling rivalries lead to the most powerful of partnerships. The most dynamic of duos. 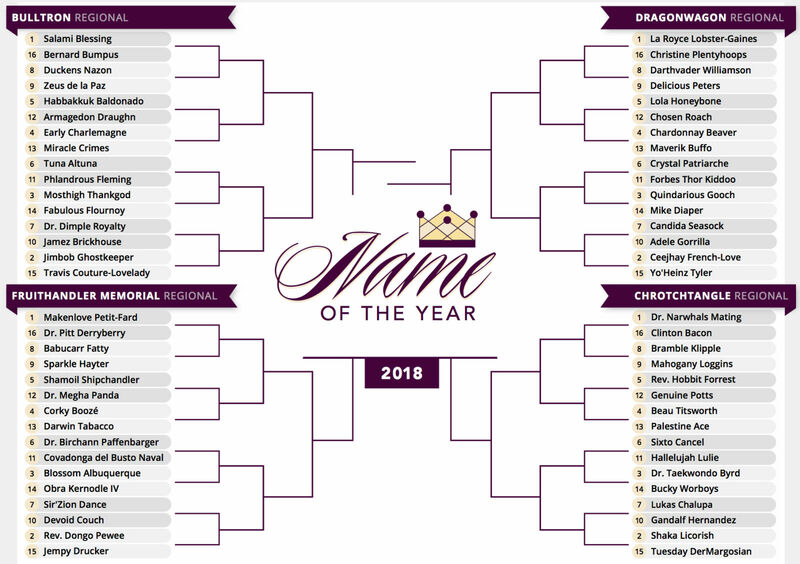 Which brings us to the second round of the Dragonwagon Regional, where we find #9 Taco Pope, a legacy underdog who took home a staggering 91% of the vote in the first round. Today he faces off against Joylord Gumbie, the #1-seed Zimbabwean wicketkeeper who easily defeated rugby prop Census Johnston. Strangely enough, Gumbie will now face his second rugby-playing opponent in Pope, not only the Planning and Opportunity Director for Nassau County but also a member of the Jacksonville Axemen Rugby League. Also a member of the formidable Axemen? Taco Pope’s brother: Apple Pope. A Taco Pope. An Apple Pope. Both brothers. Both leading the Axemen to victory. 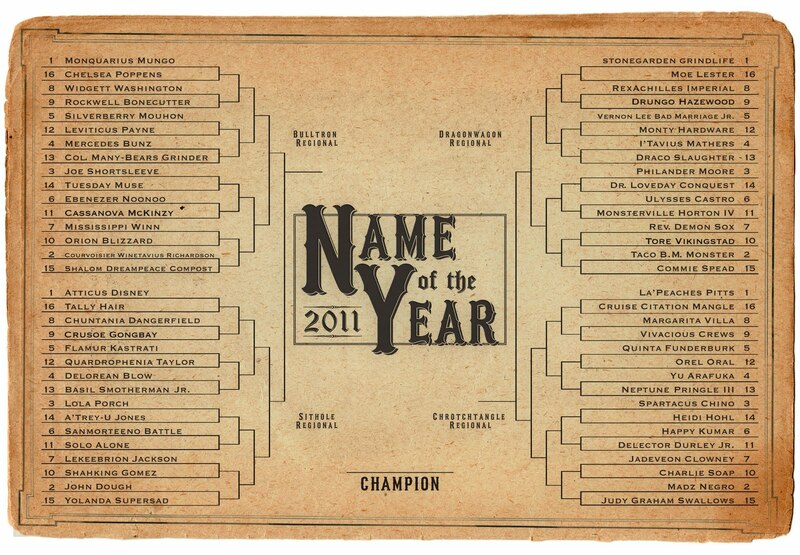 And yet, only one was nominated for the 2016 Name of the Year. Have these deliciously-named brothers moved past their onomastic rivalry and learned to combine their powers for good? You better believe they have. "We're from a small beach community in Florida,” said Taco. “By the time we were old enough to realise our names were unusual, everybody already knew who we were.'' 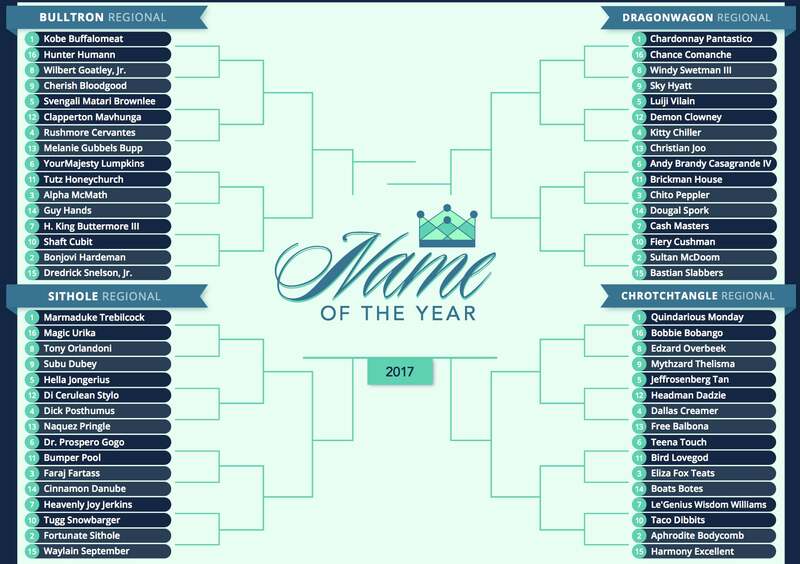 With this kind of chill, you can rest assured that Taco enters the second round of the Name of the Year tournament with the full support of his brother Apple. And his third brother Pepci. And her other sister Cofi. And Cofi’s other child Bran. And Cofi’s other child Cinimaon-T.
And Cofi’s other child Dentyne. And so, while Taco is the only Pope to make it into this year’s tournament, don’t underestimate the tenacity of a family with nothing to lose and everything to gain in the support of one of their own. 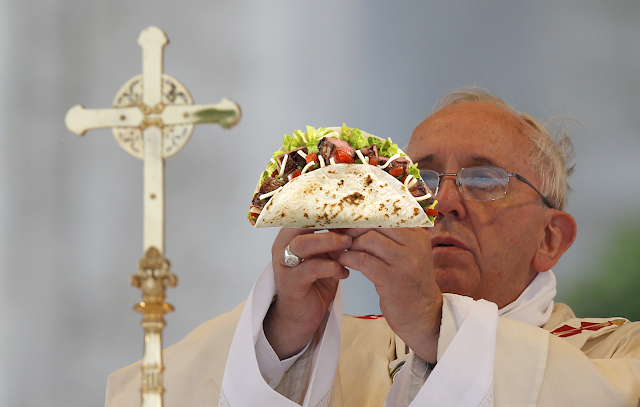 Will another Taco victory bring honor upon the rest of the Popes? 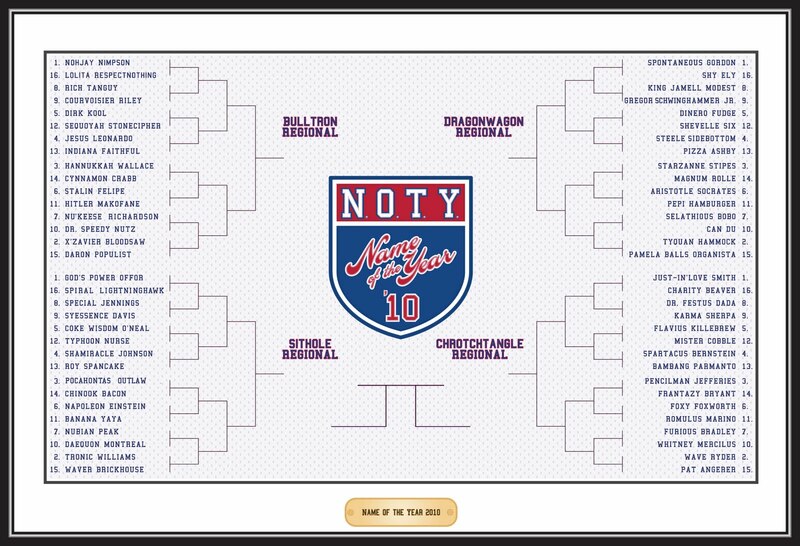 Vote below, and follow @NOTYTourney on Twitter.com.